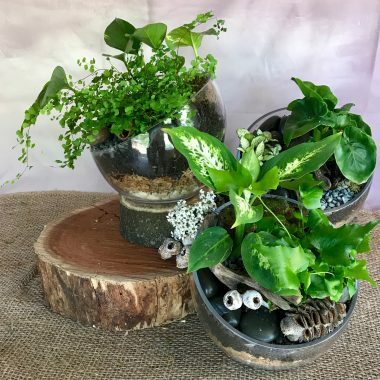 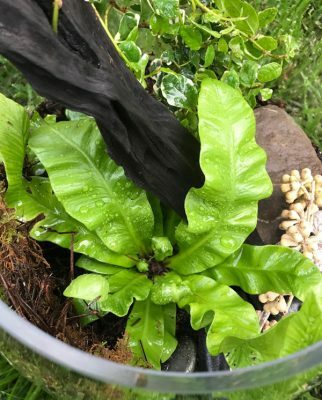 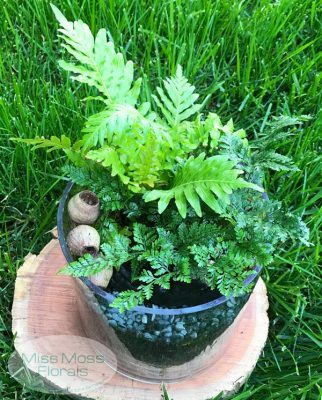 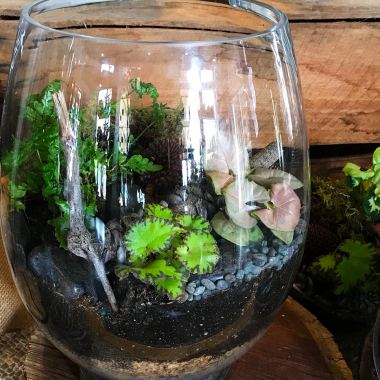 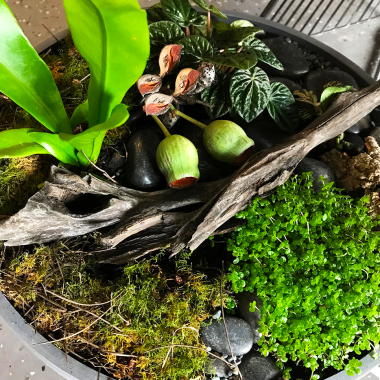 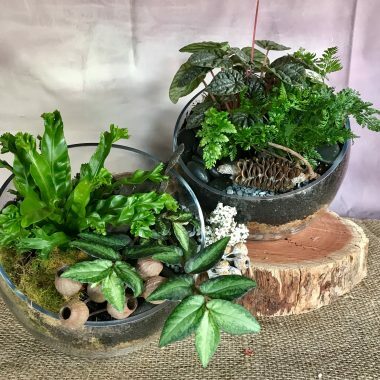 We would love to custom design a terrarium for you! 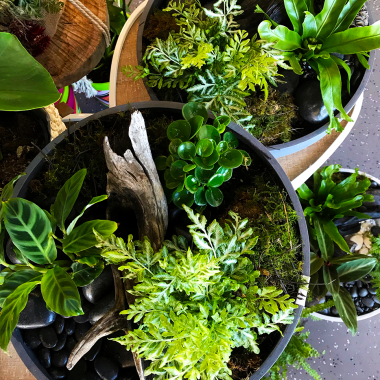 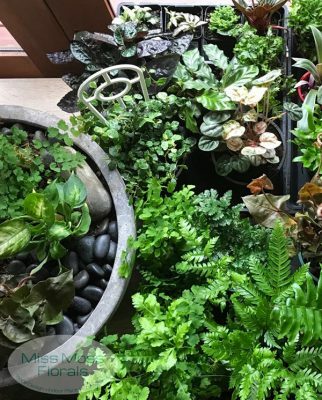 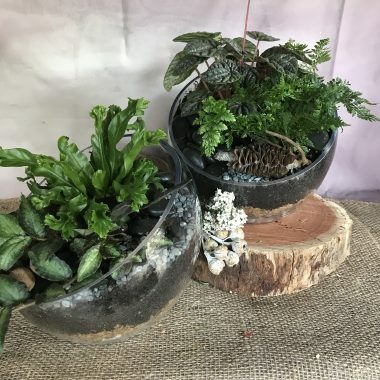 We have a wide variety of indoor plants and succulents in store. 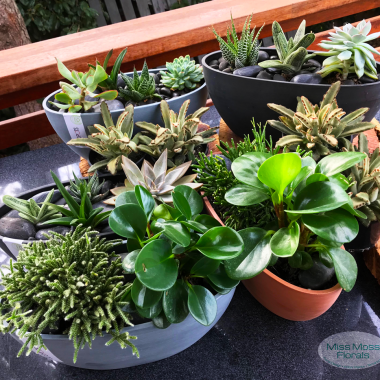 Our qualiﬁed staﬀ can assist you with the right plant choice and care to ensure you are bound for success as a new plant parent!